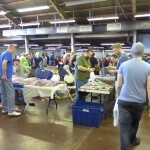 The last weekend of was the third annual retro gaming event, Super! 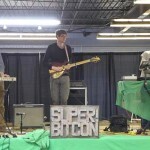 Bitcon. 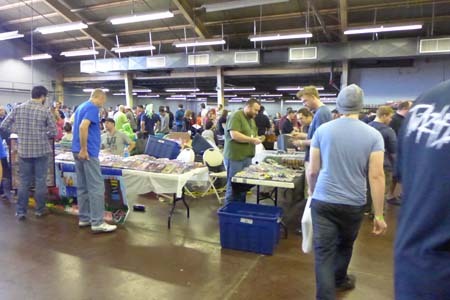 This event is organized by the Oklahoma Retro Gaming Society and has become a staple of the Oklahoma gaming scene since its first year. We attended the first S!BC in 2015, sadly missed the 2016 one, but we made sure to be there for 2017. 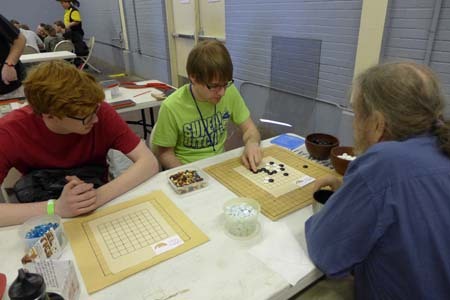 This year’s event was a great success despite some major setbacks. The first day was the hardest. The night before S!BC opened its doors, a massive wind storm, or F1 tornado depending on who you ask, swept through the Oklahoma Fair Grounds knocking over trees, the Archway, and powerlines. This last one was the real kicker. The power was completely out the entire first day, resulting in a delayed opening and then finally a full cancellation of the first day of the event. No one was happy to make that decision, but it had to be done. Access to the fair grounds was limited and live powerlines made certain areas dangerous. On top of that, the exhibition halls were in near total darkness. After the success of the first Super! 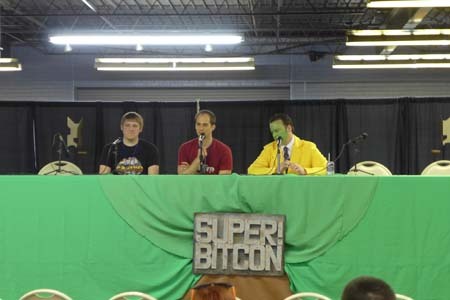 Bitcon, the creators are looking to expand the event from a single day to two. 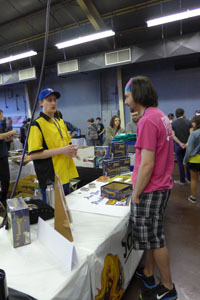 They have also announced a great deal for game developers and artists looking to display their work at the event. The price of booths have changed from $50 last year has dropped to $35. Hey OKGD! 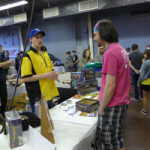 Just wanted to let everyone know that game dev booths at SUPER Bitcon have been reduced to just $35 for two days this year (March 28-29, 2015). Last year it was $50 for just one day. We want more game devs to come show off their projects this year — even unfinished ones! So if you are looking to expand your audience and awareness of your games, this would be a great opportunity to do so. So register today to get your space reserved. I was unable to attend the first ever Super! 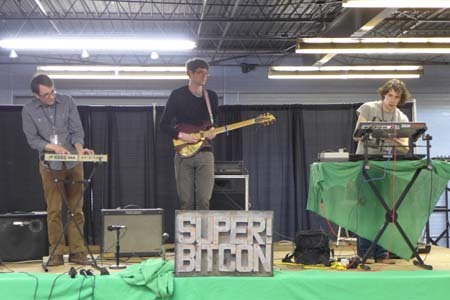 Bitcon recently. I really wanted to go but just couldn’t fit it into my schedule. Thankfully, the great guys with Retro Gamers Society filmed and published the highlight, at least for me, the Game Development Panel. In this panel we had James Simpson and Luke Simkins of Goldfire Studios and Matt Harmon of Bonozo Apps answering questions and discussing a number of topics revolving around game development. Starting off the discussion, Luke and James spoke about their efforts to unify the game industry in the state. 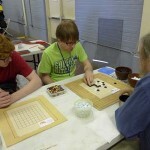 They have worked to create a game developers group found at OKGD.org. This is the group that holds the Monthly Meetups. They have been doing this because there is no big game development scene in the state. Those interested in game development are scattered across the state and it is necessary for us to have regular networking meetups. As for what the best path is for getting into gaming, the panelists agree that the best way to start is to just make games. Matt expressed that you have to have a passion too. You can’t just approach it casually and hope to be successful. 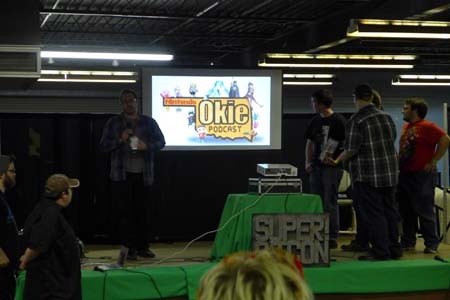 They also name drop Oklahoma Christian University, one of the top rated schools in the US for game development programs. They have also expressed support for several do-it-yourself style learning opportunities such as Digital Tutors and Code Academy. You can also begin with plug and play game engines such as Unity to help you get started. They next went into a discussion of what it takes, emotionally, to work in games. Luke and James told of their experiences trying to promote their game Casino RPG and being faced with vitriol from people who hate free to play games with a passion. The conversation then went to Kickstarter and running a crowdfunding campaign. James and Luke both successfully funded Casino RPG through Kickstarter. In this portion, the conversation was around how you will need to really work on your marketing skills to succeed. When it comes to game ideas, you really have to put some work into making sure it is the right one. James suggested putting your idea on the back burner for while and then revisiting it months or so later and checking if you are still excited about it. If you are, then you should go with it. Matt responded about how you shouldn’t be ambitious with your idea. You should scale back on some of the extraneous stuff and bringing it back down to something feasible. On the topic of polish and releasing games, Matt and James had a bit of a disagreement. James is an advocate for releasing early to win fans while Matt expressed the idea that you should wait until your game is ready and perfect. This was a very interesting part of the conversation. There are certainly pros and cons to both sides of the debate. Finally, the conversation closed with a question about building a team and how such a team should find a leader. When it comes to finding team members, it is a matter of connecting with other like minded game developers. When it comes to leading, Matt expressed a need to have a clear leader. Without one, he feels that a team might not make it. Luke on the other hand talks about how a creative process needs mutual respect among the team and that a single person or group of persons who try to build themselves up could be detrimental to the creative process. All and all, it was a great panel and well worth watching. 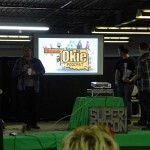 These are the kinds of events that are great for building the games industry in Oklahoma. We hope to see more of these panels in the future.